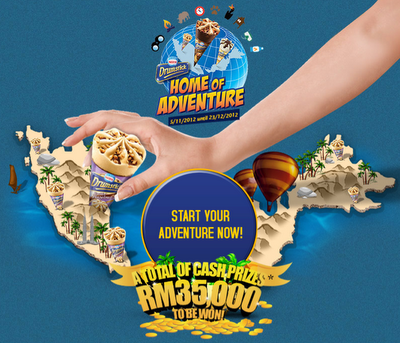 Weekly prize x 10: RM500 cash. Select a category for your Adventure. Describe your Adventure in less than 50 words. Register & submit your personal details. * No proof of purchase is required to participate in this contest. Winner selected based on the creativity of their submission. Visit Nestle Drumstick Facebook fan page for more details. Purchase any Darlie product & stand a chance to win RM50,000 cash or the new iPad. Join now!